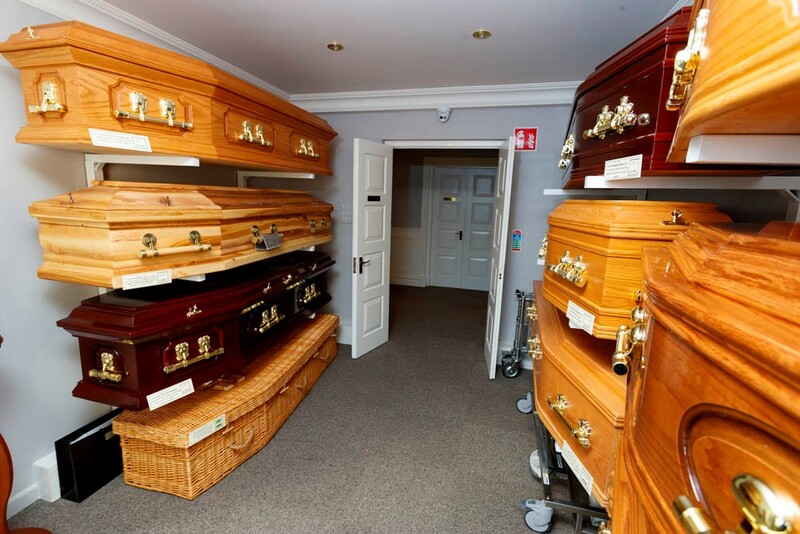 Our coffins and caskets can all be seen in our showroom at our premises in Greenville or selected from a brochure while making funeral arrangements with our funeral director. They vary in style from solid wood to mahogany to veneered. We also have a selection of eco friendly coffins, pine unpolished coffins, willow or water hyacinth and plain unpolished or unvarnished with timber or rope handles. Our funeral directors are happy to advise families on style and cost variations.